This is a sponsored post written by me on behalf of CORT. All opinions are 100% mine. Buying a home. Isn’t that just a scary statement to begin with and process to think of. I bought a home with my ex-husband in 2011 at the age of 27, and the process can be so overwhelming! While I did learn a lot through the process and loved the house we bought, there is a lot of work and thought that has to go into buying a house. I was so not prepared for the process either even though we had done some of the research! Find A Good Agent: This made a world of difference in our experience and how our house was picked. Pick an agent you can openly talk to and understands what you are after. My agent was able to ask me questions and narrow down our search with no extra effort on my part. She nailed all my must haves and then some. Work Out Your Budget: This is somewhere that we had fallen massively short on. I failed to think about the fact that any maintenance would fall back on to us cost wise. Be sure to plan ahead for savings with a savings plan to cover these costs after you own your home. Talk to your agent about the house, they seem to have a good eye for what a home may and may not have. Location: Don’t think of just where you are in life. Look forward to what the school looks like at the next level, look up plans for the area in the next 10 years that are already in place, and also look at what stores nearby meet your family needs. It is amazing how much small things can affect how you love where you live. Taxes: How buying home plays into your yearly taxes was a factor I had not considered. Make sure you talk to your accountant about what you need to keep track of how this will play into your filing for the year as well. Have you bought a home before?? Be sure to check out ->Expert Tips for Decorating on a Budget and Outfitting Your Entire Home about trends for Millennials buying a home. 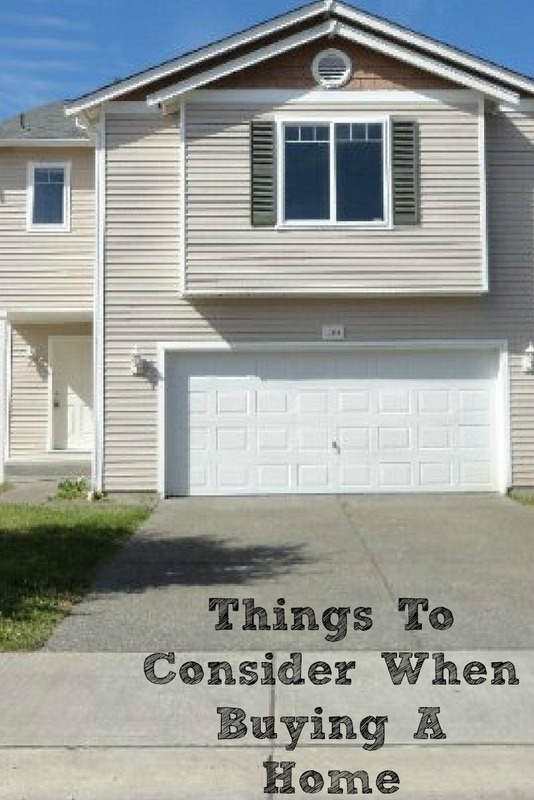 These are all excellent things to keep in mind when buying a home. We have dealt with a subpar agent and it really adds more complications to an already stressful process. I always recommend having the wiring inspected. We did not and had to replace it all! What a pain! These are really important things to take into consideration when you are thinking of purchasing a home. I am so happy that there are tips out there like this.